Following this, the Air Accidents Investigation Branch (AAIB) has identified an area of four square nautical miles for the search. 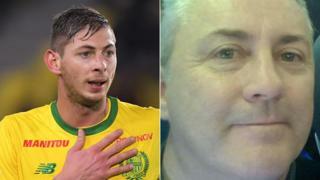 The plane disappeared with Sala and pilot David Ibbotson, from Crowle in North Lincolnshire, on board last week. It will use sonar equipment to locate wreckage on the sea bed. Argentinian Sala signed for Cardiff City and was travelling from Nantes, where he previously played, when the flight was lost over the English channel. An official search for it was called off with Guernsey officials saying there was little chance those on board survived, however, more than £290,000 was raised for a private search to continue.